The Best of Three Championship series is set. 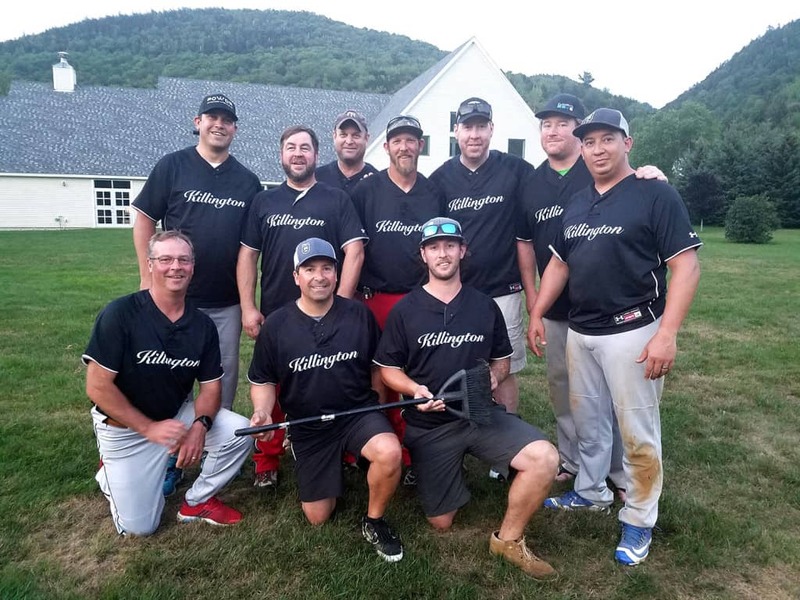 Killington Resort clawed their way out of the loser’s bracket to earn a return trip and try to fulfill their quest for two titles in a row. Standing in their way is the OmyaRamas who won the winner’s bracket and made it to the finals in only their second season in the league. OR took three of the previous four games this season, including a 12-7 win to reach the finals. Last week I wrote that friends shouldn’t let friends go to New Jersey, but now the saying is softball players shouldn’t let their pitcher go to Virginia. OR was forced to play without all-star pitcher Bailey Peters who was on family vacation and KR had to play without his dad, Matt, who was with him. Shortstop Dalton Hotchkiss was brought in to pitch and immediately he was lit up for five runs as KR hit through their order in the top of the first. Hotchkiss put his team on the board in the bottom after scoring off a Geoff Bloomer single. Matt Kinsman delivered the first “Cold Milk K” of the game to Brayden Shannon. Nate Stoodley had a nice looking sac in the second to put his team up 6-1. Jacob “Spyder” Godfrey drove in a run to put the deficit back to four. OR infield had some problems in the third with a couple errors that led to two runs for KR and they stranded a couple runners in the bottom. Stoodley blasted a two-run shot in the fourth for a big 10-2 lead. Bloomer drove in another to make it 10-4, good buddy. KR was a run-producing machine, scoring in every inning. Justin Guth scored to make it 11-4. OR did have two sweet web gems that inning with one by Spyder but the large deficit was still there and so was their lack of scoring as they went down 1-2-3. One of those outs was a “CMK” by Ryan Pfenning. KR put four more on the board in the sixth. OR answered with two off a big home run by Matt Lorman but also saw Hotchkiss and Shannon with back-to-back “CMKs.” Game one went to KR: 15-5. OR started the scoring in game two after Bloomer drove in Lorman but Shannon and Jimmy Mee each had a “CMK” to keep it at one. Kinsman was doing it with his arm and his bat after he jacked a two-run shot in the bottom, all part of a six-run first inning. OR added two more in the second, but stranded the bases loaded after Pfenning suffered a “CMK” and Hotchkiss flew out. OR played some good defense in the second and kept KR scoreless for the first time in a long time. Lorman scored in the third to cut the deficit to two runs. That two quickly became four after Dustin Blanchard knocked one over the fence. Hotchkiss was able to deliver his first “Cold Beer K” of the night to Chandler “KOS” Burgess to start KR’s bottom of the fourth. OR had a chance to come away unscathed with two on and two out, but Stoodley cleared the bases with a stand-up double. The scoring in that inning stopped with KR stranding the bases loaded, but they still were up 10-4, good buddy. OR had no answer except a “CMK” by Lorman. They also had no defense in the fifth after KR bombed their way through the order for seven runs and a commanding 17-4 lead. Three of them were off a monster home run by Evan Anderson. 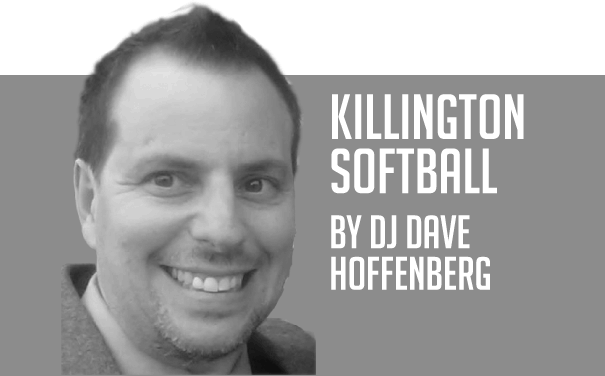 They each added one more run, but in the end the congratulations and the championship go to Killington Resort with the series sweep for the second year in a row. Series MVP honors were shared by Nate “Put that Trophy Way Up High” Stoodley and Dustin Blanchard. Stoodley was five for eight with three runs scored, seven RBI, a sac fly, a home run and a walk. Blanchard was four for six with six runs scored, four RBI, a home run and two walks. Congratulations and the championship go to Killington Resort with the series sweep for the second year in a row.